Are Genetically Engineered Mice The Answer To Combating Lyme Disease? : 13.7: Cosmos And Culture Picture many thousands of mice let loose on a Massachusetts island in an effort to fight Lyme disease. Anthropologist Barbara J. King looks at the ethics, and possible effects, of this prospect. Nearly 40 percent of the residents of Nantucket Island in Massachusetts have had Lyme disease. I was shocked to read this statistic in The New York Times last week — and fascinated, too, to learn that MIT evolutionary biologist Kevin Esvelt suggests that letting thousands of genetically engineered white-footed mice loose on the island might provide a solution. How would such a project work? 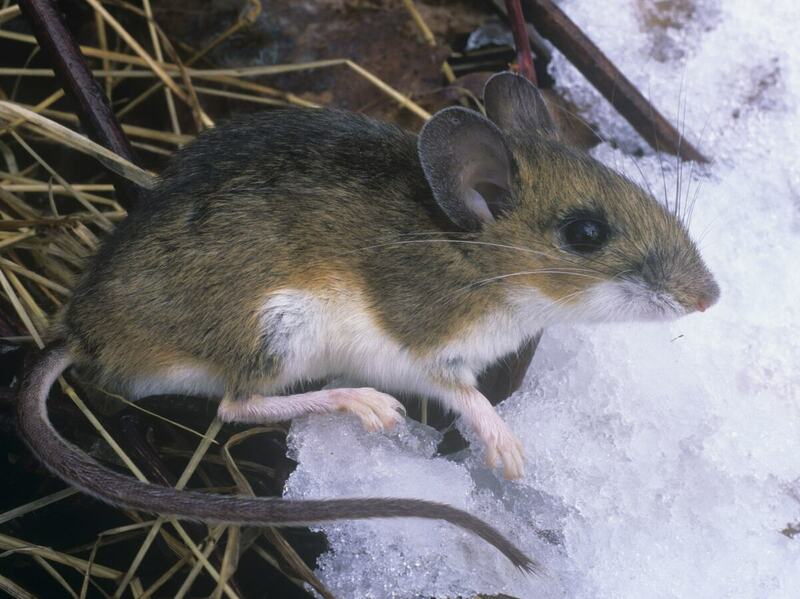 "White-footed mice and ticks are born uninfected. Mice become infected when they are bitten by an infected tick, while ticks become infected when they bite an infected mouse. By passing the Lyme pathogen back and forth between them, they maintain it in the environment. Other animals can also be infected by ticks, but they are much less important than the mice. In fact, the mice are the primary reservoir for the bacteria that cause Lyme disease, babesiosis, anaplasmosis, and ehrlichiosis." "Ticks bite three times before they lay eggs, and the last bite is almost always a deer. So the total tick population is tied to the deer population." Both the mice and deer populations are up in the area, Esvelt said. Mice seem to thrive in the fragmented woodland habitats that we humans create through our penchant for development; predators on deer are fewer and more deer live because of what Esvelt terms "insufficient hunting." As a result, tick-borne disease has been increasing over the last several decades. So, if mice could be engineered to be resistant to tick-borne infection, the cycle could be interrupted. "[The GE technique involves] taking immune cells from an exposed mouse that has protective antibodies and moving the genes encoding those antibodies into the second mouse. "If we insert the antibody-encoding genes into the genomes of mouse reproductive cells, they will pass immunity on to their offspring. Our plan is to vaccinate many mice against Lyme or tick saliva, identify the most protective antibodies, then encode them all into the reproductive cells of other mice. In this way, we can take the total immune capacity of many different vaccinated mice and give it all to future mouse generations." "We will insert several copies of each protective antibody at neutral sites in the mouse genome using CRISPR, a genome editing tool that lets us precisely edit just about any DNA sequence in any organism. The resulting mice will be engineered to be immune (to either Lyme or tick bites or both), but will be 100 percent mouse with respect to their DNA. Any of their offspring that inherits a copy will be similarly protected, so adding multiple copies means that each mouse counts for several when it comes to protecting future generations." Islands like Nantucket and Martha's Vineyard are ripe for this experimental intervention because they are small in area; even so, the project would require tens or hundreds of thousands of GE mice to be released over a period of years. In larger geographic areas, the idea would be unworkable. Or more accurately, unworkable unless one of the controversial methods of gene drive were used, involving foreign non-mouse DNA. One thing I appreciate about Esvelt's approach is that it's based in community consultation. The idea is to start releasing the GE mice on uninhabited islands first, then scale up to Nantucket and Martha's Vineyard, if those islands' residents welcome the idea. "The concerns are exactly those one would expect: Will it work? Will there be side-effects? Will everything be done in the open? Can we trust the developers, or are they biased because they'll make money? Who will be monitoring the ecological effects and determining whether it is effective in reducing tick-borne disease, and will they be independent of the developers? Are there automatic veto points at which the project stops in our community unless we explicitly decide to continue? "These are all exactly the right questions to be asking...The bottom line is that scientists don't deserve trust by being experts, nor does our expertise give us any power or privilege other than that of offering informed advice." "I wonder how much the scientific interest of the researcher to be innovative and advance our knowledge and ability to manipulate mouse genetics on both an individual and population level is driving this research and how much is the desire to reduce the impact of Lyme disease. It is an important question to ask — especially if public funds and hundreds of thousands of mice are to be used. "I am not against bioengineering. I acknowledge the value of innovation and advancing basic science knowledge. However, I also recognize that both Lyme disease and animal welfare are pressing and important concerns." "We have ways to tackle Lyme disease we are not using. We make excuses for needing more animal experimentation and research for the sake of human health — when we do not even use the means already available to us." Hajek also notes that distributing vaccine-laden bait to mice has already been shown to reduce the rates of B. burgdorferi infection in ticks. "While we may be able to genetically modify a desirable trait in this species of mouse, we do not know what the full consequences will be. "Another concern is the well-being of the animal subjects in this experiment. GE in the form of cloning, increasing consumable animal body mass, increasing fertility, etc., has frequently had horrific consequences for the well-being of individual animals. This change sounds small, but we don't know what the consequences will be for the lives of these mice. While I'm not making a moral equivalence argument, mice are still aware and self-aware. They are sentient and sapient and social, and they have lives whose well-being must be considered from a moral point of view. "To put the matter in ethics talk, they have intrinsic moral value and are part of a wider more-than-human moral community. From an ethical point of view, we are required to think about the well-being of the mice and the ecological community before undertaking any scientific experiment of this kind." A few summers ago, I came down with a tick-borne disease similar to Lyme. It's no picnic, even when caught early. These infections cause immense human suffering; about 300,000 cases of Lyme disease are diagnosed in the United States each year according to the CDC. Innovative scientific techniques must be turned toward this disease. Yet the main question is clear: Do we yet understand enough about the cost of GE to individual animals and to whole ecosystems to press forward with this project on Nantucket Island? In an earlier version of this post, a quote from Clark University research scientist and ethicist Bill Lynn cited StarLink genetically modified corn as the cause of severe reactions in people allergic to peanuts. There were concerns regarding allergies when in 2000 the FDA said it could not be sold for human consumption, but the FDA did not find a direct link between the product and allergic reactions in consumers.